“Expect great things from God! On the road to mountain village of Alao, Ecuador. Rays of the Ecuador sun penetrated the window awakening me to the beauty of the landscape. Friday had been the typical travel day from Arkansas to Quito. 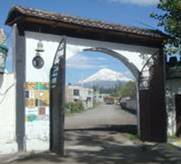 Walking out onto the second floor balcony at Hostal la Dicha, the picturesque snowcapped peak of Cotopaxi displayed the beauty of God's creation. Mount Chimborazo high in the Andes Mountains of Ecuador. Many thanks to Bro. Wil, Abide in Christ, Bro. Alejandro Guacho, Bro. 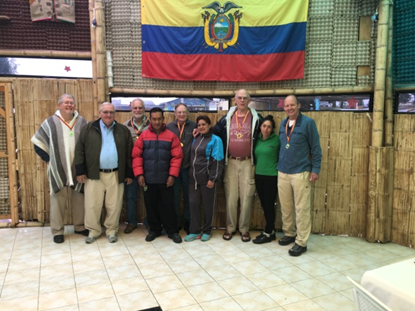 Alberto Copa and Seminario Teológico Peniel for the invitation to join them in serving in Riobamba and the surrounding areas with students of Peniel. Praise God for calling two new members to this team. We are blessed to have Dr. Rick Cain and Bill Clements and look forward to watching them receive blessings from our Lord this coming week. It's good to be back here serving with Don Dumas, Bro. Wil, and Bro. Jerry Starnes. Saturday was a leisurely travel to Riobamba. Alejandro carrying some with him in his truck and his son, Edwin, driving a car with the rest of us. The beauty of the valley, framed by the mountain ranges to the east and west was picturesque. Along the via far to the east, we passed the active volcano Tungurahua. His rugged snow covered peaks surrounded by cotton like clouds seemed to weave as though they were connecting the blue sky above to the lush green valley below. Approaching Riobamba, the snow capped peak of Chimborazo was hidden by clouds hopefully to smile on us another day. 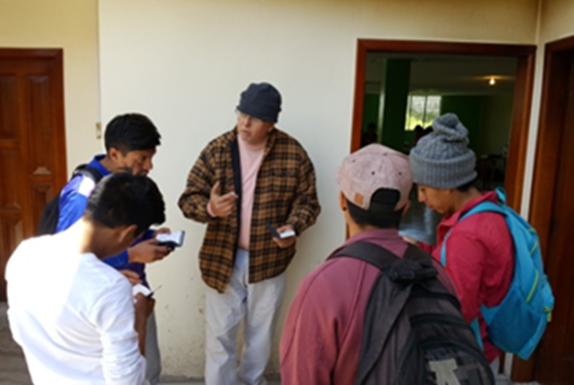 Our Christian trilengual translator leading a Quichua man to Christ. Sunday morning we traveled to Calera Grande which was one of Alberto Copa's mission sites. 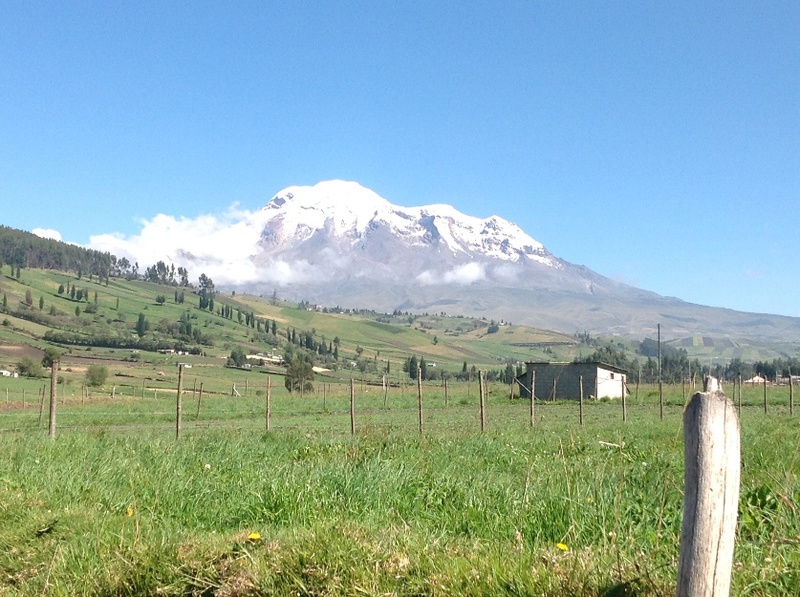 Chimborazo was out to greet us in all his majesty. As soon as we had the dental clinic set up, patients were waiting to be seen. By 1:30 we had seen all patients which gave us some time to reorganize for the next day. Thirty one marvelous professions of faith was evidence of the Holy Spirit’s work and God's preparation of hearts among the people. 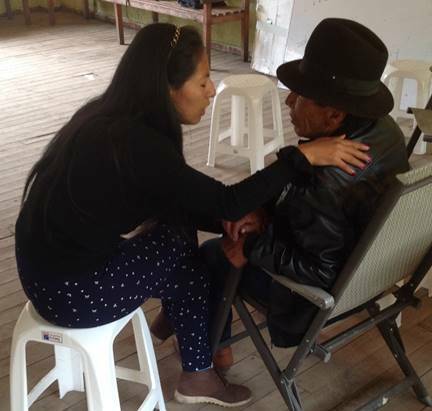 Alberto Copa, Rector of Peniel Theological Seminary leading Quichua dental patient to Christ. Monday's missional focus was Palmira. We stopped in Cajabamba for bread. 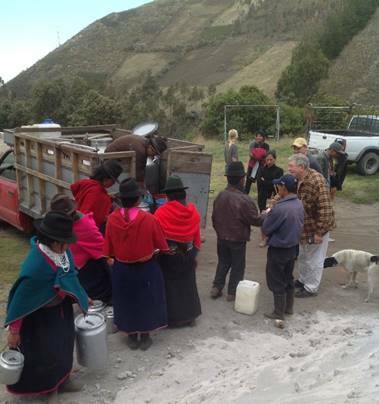 We passed through Colta which is the home of Alberto Copa and one of our translators, Lourdes "Lou" Guapi Bustas. 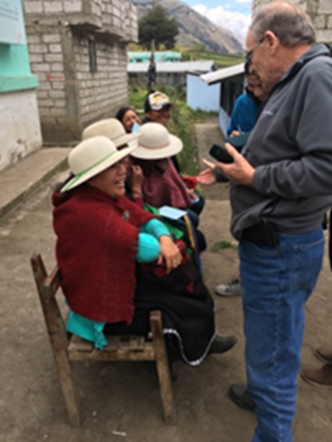 Lou was versed in the different cultural aspects of Ecuador and a third generation Quichua Christian. Her mastery of the English language as well as Spanish and Quechua made her a valuable asset to the team. Local Quichuas spotted the landscape along the way; working in their fields and cultivating their plots of land, some overseeing cattle as they grazed as others harvested alfalfa to be sold or fed to their animals. Yet others, sitting along the hillsides, gazed out over the landscape as though they were reflecting on the beauty. I just wonder if they realize how God has placed them in such a gorgeous part of his most beautiful landscape. Don Dumas, a Christian pharmacist leading a man to Christ. Pastor Alberto Copa met up with us along the way. 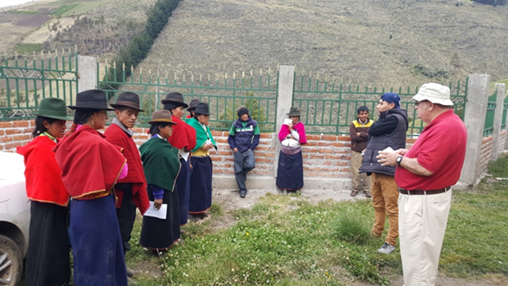 He had with him two translators; Jonathan, from Riobamba, and Rebecca, a North American from North Carolina, who was in Ecuador teaching English. The road changed from asphalt to gravel as we made our way up the mountain. 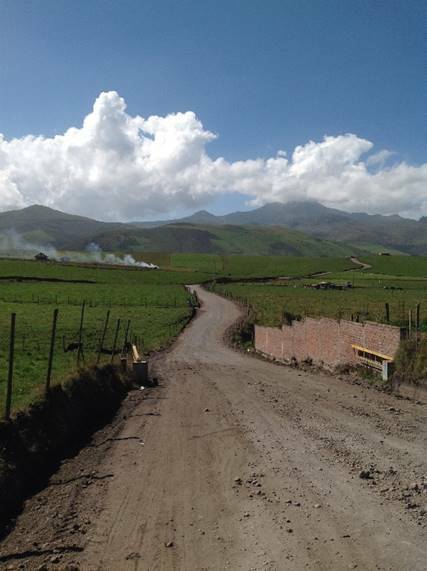 The wide gravel road turned into one lane as we neared the community center where we would set up clinic. Women were there at a staging area selling the milk from their early morning work. We set up the dental clinic as patients were being registered. Not having a great number of patients to see gave us the opportunity to share Christ with each person. Many people's hearts were open to the work of the Holy Spirit and placed their faith and trust in Jesus Christ. What a great day! 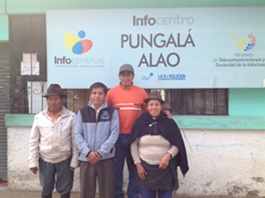 On the drive back to Riobamba, we stopped for a little break and fun photo op with Alejandro. Driving back through the Gataso valley men, women and children were again working in their fields. 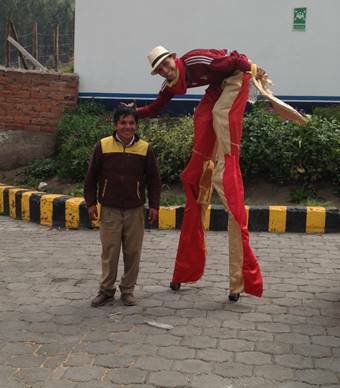 Alejandro having fun with a clown along the highway. Clear skies overlooked the valley as we journeyed to Alao on Tuesday. The refreshing essence of the Eucalyptus trees lining the steep winding road to Alao was pleasing to our sense of smell. The edge of the road was so steep, in many places you could not see below. The road had been carved out of the side of the mountain and several places where mud slides had been taken the road out had been repaired. 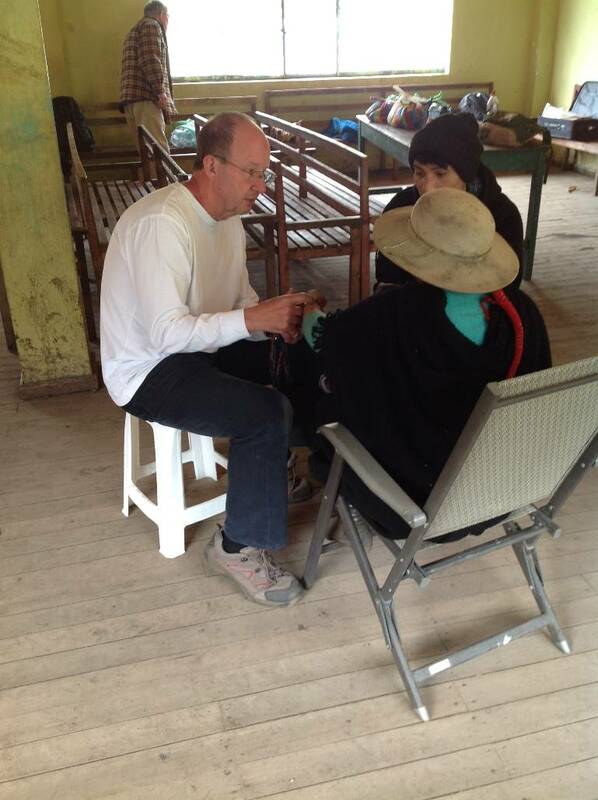 We arrived at the site and set up the clinic while others set to share the gospel message with the people. There were very few people! Where could everyone be? We learned they were on the mountain side fighting a fire that had started the day before. A policeman stopped by and told us all abled manpower was needed to fight the tire. A few, unable to fight the fire, came to the clinic. Bro. Wil shared the gospel with those as we waited for anesthetic to take effect. Wil presenting the gospel to a dental patient. Later on in the day a few patients drifted into the clinic. The day was filled with beautiful gospel presentations and several placed their faith and trust in Jesus. Words, nor photographs, can describe the beautiful countryside and the hospitality of the locals. A sense that these people had never heard the gospel was felt among us all, yet there was confirmation of the presence of God at work. Later in the day the fire was contained by the firefighters. 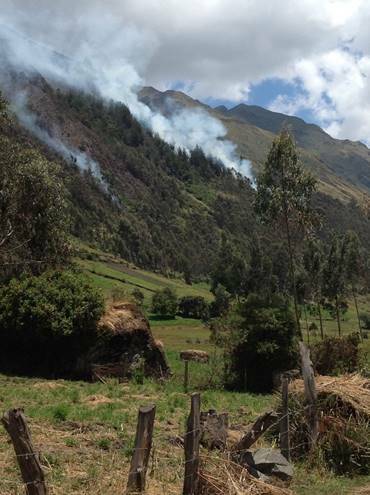 Fire on the mountain overlooking Alao, Ecuador. Wednesday we journeyed back to Alao setting up clinic in a different part of the community. Slowly some Quichuas drifted into the clinic. None of them wanted teeth extracted. A few wanted cleanings but we did not have the instruments necessary. Obviously God had not brought them in for extractions, but to hear the gospel! Many people came to Christ. Alejandro's and Damaso's efforts had not been in vain, and their prayers were being answered. Many came only to hear the gospel. Praise the Lord! In the early afternoon I decided to hike up the mountain behind the clinic. Soon I was joined by Damaso, Lou and Edwin, one of the students at Peniel. What a breathtaking view! A gentle wind blew as we sat and viewed all the beauty. 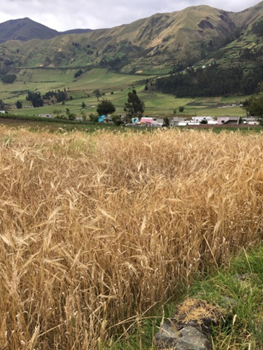 Cultivated plots of land, some with different crops growing divided the mountain side. Cows, sheep and llamas were strategically tied to allow them limited grazing ground. We sat and prayed over the village below us. 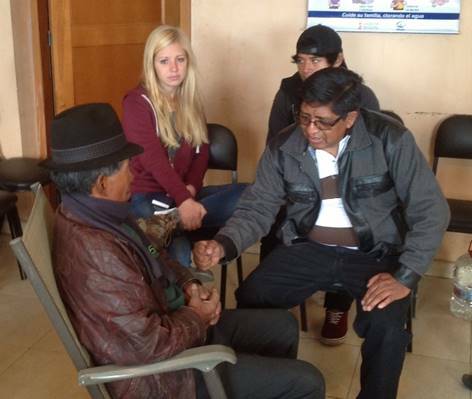 Alejandro witnessing to dental patients. Walking back down the mountain we met a young married couple who allowed us to share the gospel with them. Both prayed to receive Christ! Later we came upon two teenage boys who were just sitting in a field. Damaso shared with them and they both prayed to receive Christ! 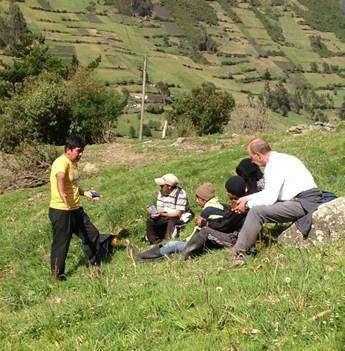 Damaso and Dr. Cain sharing Christ on a mountain side. Once again on Thursday we made the beautiful journey back to Alao for another day of dental clinic and door to door evangelism. The leaves of the Eucalyptus trees lining the winding road danced in harmony with the gentle breeze that blew up the mountain valley. The flow of patients throughout the day allowed for time to share Jesus Christ. We were able to help many people that had dental pain. Several received Jesus Christ as savior by believing in Him. Those out doing door to door evangelism had good responses from the people they shared with. This day brought to life Jesus' words to His disciples in Matthew 9: "The harvest is plentiful, but the workers are few. Therefore pray to the Lord of the harvest to send out workers into His harvest." Jerry Starnes sharing the saving gospel of Jesus Christ with a group of Quichuas who are waiting to see the dentist. 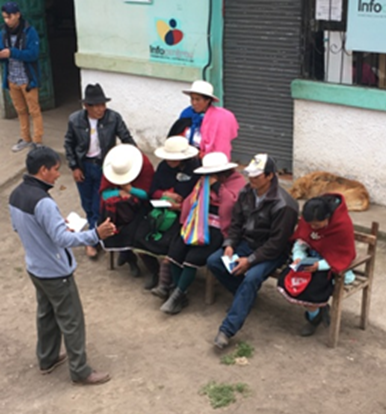 On Friday we set up clinic in an area of Riobamba and saw a few local patients before spending the afternoon touring the leather factory. 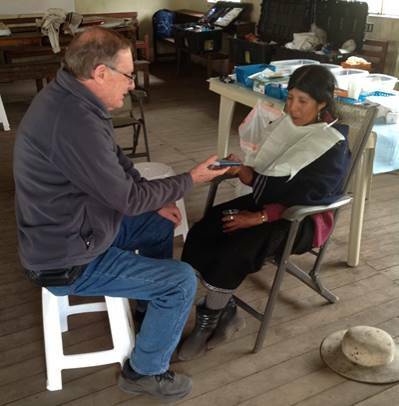 Dr. Rick Cain using his translator to share Christ with a dental patient. Saturday, before making our track back to Quito, we were all blessed as Dr. Rick shared an encouraging message on prayer and beautiful testimony to the seminary students. 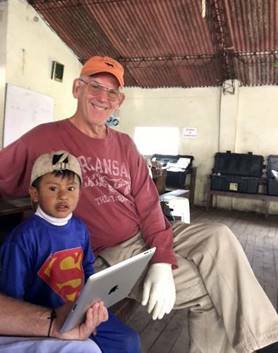 We were so blessed on this team to have Bill Clements, a committed missionary sterilization professional, to keep us in supply with sterile dental instruments. His service made for the operation of an efficient dental clinic. Bill was always willing to lend a hand wherever needed, even entertaining children. I am grateful to Dr. Rick Cain and his sacrifice to serve as a dentist, but all the while capturing the opportunity to share the love of Jesus Christ. Bill Clemens is a faithful Christian with a servant heart. Thanks to Pharmacist Don Dumas and Pastor Jerry Starnes for being willing to go to whatever lengths necessary to be sure every ear heard the gospel. Their love for Christ and for the people captivated the attention of others and opened doors for them to share the gospel. Good translators are key to us as non-Spanish gringos being able to communicate with locals. God placed excellent translators among us who had a desire to share Christ. Directed by the Holy Spirit, Alejandro had done an excellent job of preparing all locations for the team's arrival. The work he does in building relationships and continual follow up is key in missional efforts. 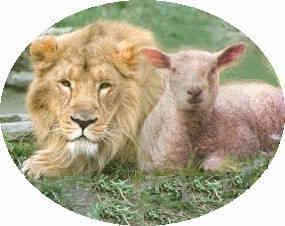 As far us North Americans, we thank God for the faithful, God centered, biblical focused work by Bro. Wil Pounds. His unwavering commitment to sharing the Word of God, wherever led, makes it possible f or us to travel to areas where the name of Jesus is not known, and proclaim the Gospel. Thank you Bro. Wil and to God be the glory! Wil spending time encouraging new believers in Jesus Christ. October 2016 Ecuador dental evangelism team. Partnership missions give you an opportunity to become personally involved in what God is doing in world missions. Pray daily for the Abide in Christ ministries. Pray for wisdom for evangelism and doctrine training for pastors in a future Bible conference. Pray for evangelism saturation teams to do door-to-door evangelism and rallies at night. 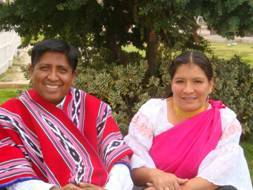 Pray for scholarships for Peniel Seminary students in Riobamba, Ecuador. Pray for Evangelism Workshops with pastors and leaders in local churches. Pray for wisdom to know where the Lord is leading to conduct evangelism workshops, and where to focus teaching ministry. We have been asked to return every three months and teach Ecuador pastors. We are presenting one-day, three-day weekend, and one week Evangelism Workshops for pastors and church leaders in churches in Latin America. Abide in Christ (c) 2016.